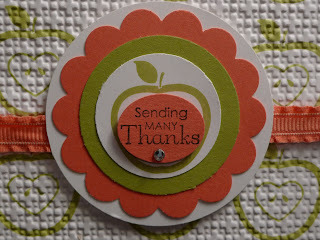 Karina's Kreations: Fruit and Flowers Card! 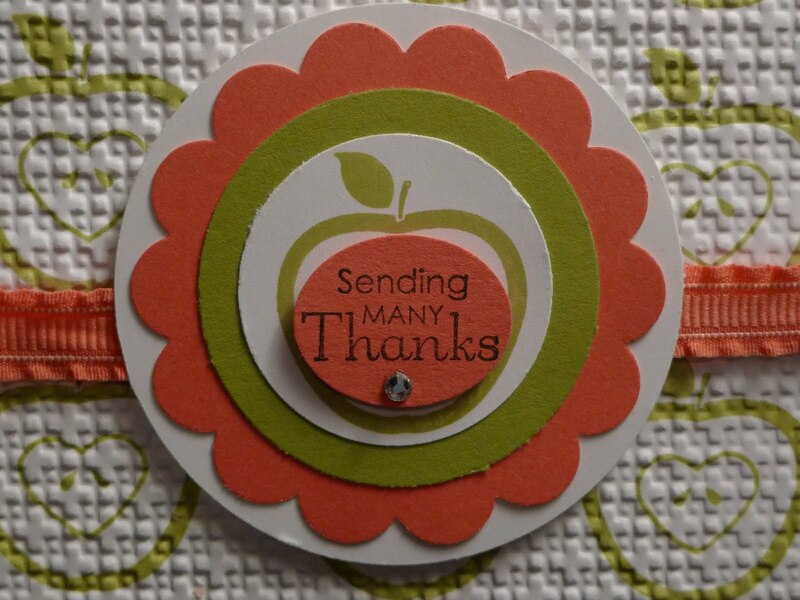 I made this cute card using the Fruit & Flowers stamp set. I love these summery images and there is coordinating designer series paper called Berry Blossoms. 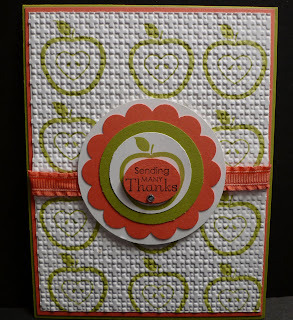 The card stock colors are Lucky Limeade, Calypso Coral and Whisper White. 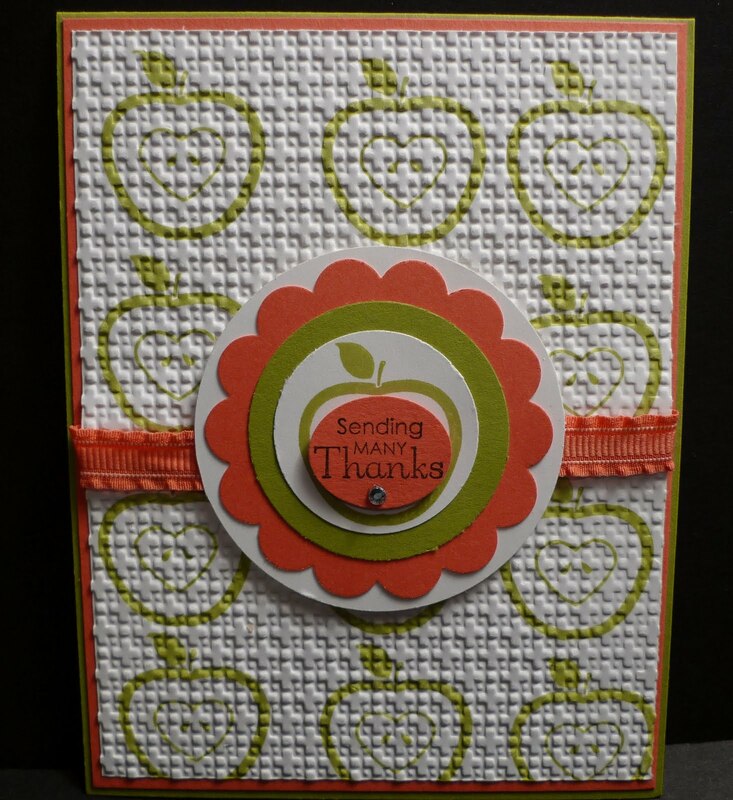 I stamped the apple image on Whisper White card stock and embossed it with the Square Lattice Textured Impressions Embossing Folder. The greetings is from the Petite Pairs stamp set.